Consultations are always recommended prior to a permanent makeup procedure. These are done over the phone after paperwork is filled out. Text me at 214-215-0338 to request a phone consultation. 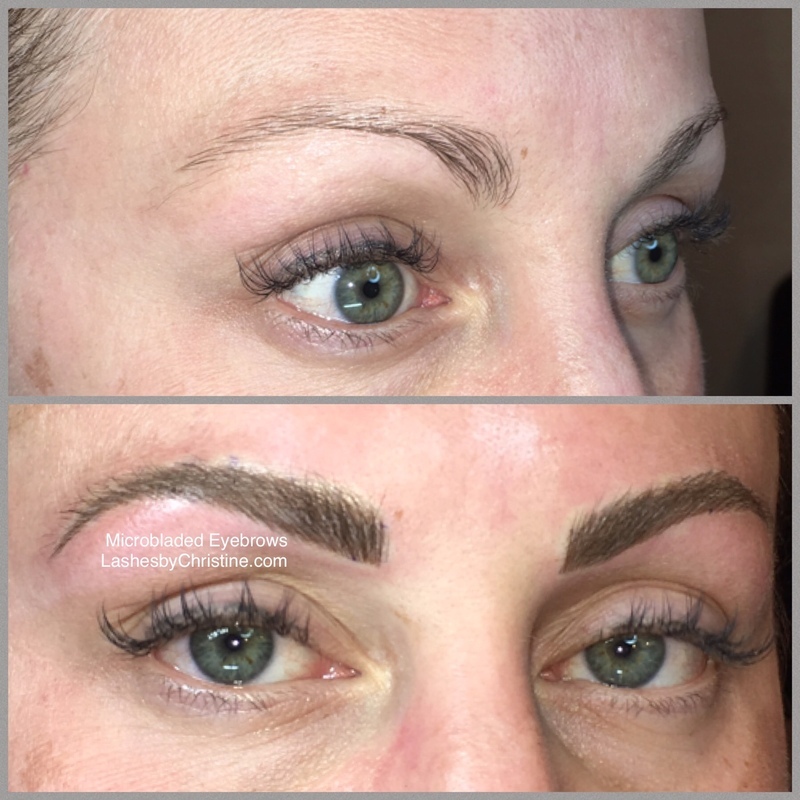 ​If you have previous permanent makeup on your eyebrows or eyeliner, please send me photos of your current work so I can determine if I can work with you. YOU MUST send me a photo If you want me to work over previous permanent makeup. If you’re looking for information on Permanent Cosmetics, you’ve come to the right place! Permanent Cosmetics is a cosmetic technique which employs tattoos (permanent pigmentation of the dermis) as a means of producing designs that resemble makeup, such as eyeliner and other permanent enhancing colors to the skin of the face, lips, and eyelids. Permanent Make Up is also known as a Cosmetic Tattoo, Permanent Cosmetics, or Micropigmentation.​​ To see samples of our work, click here. Clients ages 18 and older can benefit from Permanent Cosmetics. Natural looking and subtle colors are key to giving your face a rejuvenated look. Certain medications may interfere with healing process. Some of these medications are covered in a proceeding section. Permanent Cosmetics has made leaps in the area of numbing and topical anesthetics. There’s nothing to worry about. We believe our numbing process is as good as it gets. A top of the line topical anesthetic is used to maximize reducing any if at all discomfort. We hear it daily from clients that it wasn’t at all as painful as they thought. Many say that they hear more than they feel (they hear my tool drawing across the skin). Others that are more sensitive, say it’s no more painful than having your eyebrows tweezed. If you have had a bad experience with pain from getting permanent makeup elsewhere, remember Christine has spent a lot of time training and testing and working with other professionals in the industry to find the best products, including the best anesthetic techniques that are unparalleled. It is normal to experience some swelling and/or tenderness following your procedure. Immediately following your treatment the pigment will appear darker and brighter than how it will actually heal. Some people with sensitive skin experience a little redness straight after their treatment. It soon disappears, though. You might also feel the pigment looks darker than you expected. Don’t worry. After a few days, the surface color naturally exfoliates to leave a softer color. After five days, the color will actually be lighter than you want it to be. That is why a touch up visit is necessary to "fine tune" the work and achieve a higher richness of color. Permanent makeup lasts for years. Keep in mind that as you become accustomed to your new makeup it is not uncommon to want more. You will want to freshen up your new makeup every couple of years. The length of years your permanent makeup lasts is dependent on several factors including what type of procedure was used, your skin type, your general health, medical conditions, medications that you take, sun exposure, cosmetics, anti-aging regimine(s) used and lifestyle. Permanent cosmetics procedures are considered permanent because pigment is tattooed into the upper reticular part of the dermal layer of the skin and cannot be washed off. However, as with any tattoo or colorant (pigment) in general, fading can and often does occur, requiring periodic maintenance referred to as color re-enhancement or color refreshing. The scientific structure of pigments and the requirement for periodic refreshing is identical to that of tinted hair color; faded material on furniture that may be located near a window and subject to sun exposure; house paint that is exposed to the sun and other environmental elements; pigment implanted in the skin may fade with time. This colorant periodic maintenance requirement is a good opportunity to reevaluate one’s color and design preferences. While the concept of permanent, without any change, may seem like a perfectly good idea, think about how your tastes have changed over the years. From time to time likely you have made subtle or dramatic changes in your clothing preferences, your hair color and style, and if you wear topical makeup, those colors have changed as well. The fact that most people will require periodic color refreshing of their permanent cosmetics is the opportune time to work with your technician to reevaluate your overall appearance profile and determine if any changes are appropriate. Longevity varies from person to person depending on their life style (sun exposure), the color(s) used for the permanent cosmetic procedure, and are also thought to be affected by topical products applied to the skin. The initial procedure appointment will generally take approximately 2 to 3 hours. This 2-3 hours isn't all tattooing time - there are records to establish; photographs to take; desired design and color to discuss; the procedure to perform; and the aftercare requirements to discuss. Subsequent appointments (follow-up, touch-up and color refresher procedures) usually do not require the same amount of time. Christine will discuss how much time you should expect with each appointment so you can plan accordingly. Permanent Makeup is not intended to replace cosmetics completely. Remember the color is placed “in” your skin and not “on” your skin the result is a more natural softer look. For special events or nights out, you can apply as much additional makeup as you like. Christine prides doing the most natural work in the industry. So the answer is yes! It will absolutely look very natural! In choosing the right technician it is very important. Christine has had a number of people come in for corrective work after they’ve had a less-than-satisfactory job done elsewhere. Sometimes the work can be corrected, many times it cannot. It is vital that you go to a licensed, reputable technician with a proven track record of good work. If you want to look your best anytime, anywhere it’s for you. If you want to shed off some years and look healthier, younger and fresher permanent makeup does wonders! If you’re a busy mom, business woman or have an active lifestyle you’ll save hours every week not having to stand in front of the mirror slaving over applying makeup. Not to mention you won’t have to worry about sweating it off during a workout or melting by the end of an evening out. All proposed work is discussed before the procedure and all eyebrow work is drawn on prior to the tattoo process so that the client and I can be certain the shape achieves the look the client is looking for. No work is done until both the client and Christine have agreed on the shape and the color. Although the procedure is considered permanent, these procedures do have flexibility in altering the color (warmer and/or darker). The shape can be "fine tuned", but since the color is implanted into the skin, I cannot "erase" the pigment. Colors will appear darker immediately following the procedure but will soften and lighten during the healing process. The healing time is different for each individual and procedure. It’s very important to realize that often the new procedure represents something somewhat different; at times color where there was no color at all or very little. It takes time to become acclimated to a new look (very often this applies to eyebrows which were sparse and unnoticeable before the permanent cosmetic brow procedure.) Eyeliner color is more evident due to the contrast to the skin color. Lip color can take up to six weeks to reflect the final color. Be patient. After the procedure has healed, and you are able to make an informed decision about the healed version of the procedure, the only reason you should not like your permanent cosmetics is if you chose a technician who did not work with you on design and color. How could this happen? If you cannot communicate with your technician, it is possible your desires will not be realized. If your technician recognizes your requests, but does not take your desires for color or design into account, you should not proceed with the procedure. Don’t request eyebrow color based on your tinted scalp hair color. That is subject to change and it may affect how you then feel about the color of your permanent cosmetic eyebrows. Eyebrow color should be selected based on your skin undertone and the color of your eyebrow hair (if any.) Conversely, most well-trained technicians will not perform a procedure if the design and/or color requested by the client is not reasonable. If your requests are turned down by one or more technicians, re-think what you are asking for. Permanent cosmetics are not easily removed. Make good decisions up front. You can enjoy the liberation permanent cosmetics provides when you do your research and choose a qualified professional that you work well with. All needles, hand tools, and machine parts are new, sterile, disposable, one-time use for each client. These disposable pieces and parts are safely disposed of in a sharps container immediately after each procedure. Unopened, new and sterile needles are always opened in your presence. Personal protection equipment such as disposable one-time use gloves are new for each client and changed frequently during the procedure. Disposable one-time use chair/bed covering is also new for each client.The room or treatment area is clean and neat and is protected with barrier film and is free any contaminants. Christine Newell Rodriguez is a proud member of the Society of Permanent Permanent Cosmetic Professionals. Are There Any Special Instructions Before My Treatment? ​Are There Any Contraindications for Permanent Cosmetics? Do not drink alcohol, take Aspirin, Niacin, Fish Oil Supplements, Vitamin E or Ibuprofen or any blood thinning medications 48 hours before the procedure. Please consult your physician before stopping any medication. What medications can cause issues for Permanent Cosmetics? Please check with your doctor prior to stopping any medication. ​Prior to any Permanent Makeup procedures, clients are asked to complete a Consent Form. The form is used to document medical history, current and previous use of certain medications and supplements and to alert any possible interference for quick recovery and best possible outcome. When possible, the client should be in optimal health. If you're feeling under the weather, just wait. Remember, our body has a better chance of healing and fighting infections when we're well rested and healthy. Some thyroid medications can cause the client to metabolize the pigments faster than the general population. They are not contraindicated, but may cause the client to need more frequent color refresh treatments. ​What are the Long Term Care Instructions? Permanent cosmetic procedures are a process and at least one follow-up to the initial procedure should be scheduled. It is recommended that any required detail work to the original procedure be performed no sooner than six weeks after the original procedure. A touch-up procedure is included in the price only if performed within 12 weeks of the original procedure. After the 12-weeks, it is considered a "Color Refresh", explained below. What is a Color Refresh/Color Boost? ​A Color Refresh/Color Boost is recommended 12-24 months after your last Eyebrow procedure and 12-36 months for Eyeliner. If you require a change from the original shape that was performed or desire to go larger than we did in the previous sessions, this may require more time as well as a second appointment to solidify the additional skin that was tattooed. Individual factors such as health, skin health, lifestyle, medications and topical skin treatments can determine how quickly your permanent makeup will fade. Some clients may require a Color Refresh/Color Boost sooner than average and therefore, sooner than the timelines mentioned above. Clients should wait as long as they can for their Color Refresh/Color Boost to avoid overworking the skin and over saturating it with pigment molecules. ​When it comes to your face, accept nothing less than a first class result with no one else but a meticulous professional. Christine understands that people are looking for the highest possible quality of work. This is your face and there is no room for compromise.Only the highest quality of work should suffice. The word "expensive" is relative. My work is accurately valued. You will get meticulous, regret-free work that will compliment your beauty. The cost of the procedure should not be the most important issue when consulting a potential permanent cosmetic professional. Most important is the training and skill of the person performing the procedure. Also see "What Does Permanent Makeup Cost". While eyebrows may show little after effect, eyeliner and lips may show slight to moderate swelling. This is very dependent upon the amount of work performed. As examples; an eyelash enhancement will show very little response to the tattooing procedure compared to a more moderate response when wide eyeliner is performed. The same philosophy applies to lip color procedures. A lip liner or blended lip liner will show less effects of the procedure than that of a full lip color. Also, some people swell more from minor skin infractions than others. During the procedure there may be some minor bleeding. This again, is client specific. Many people take blood thinners on a daily basis so some slight bleeding would be expected. Others show little or no signs of bleeding. Bruising is rare but again, if a person is on blood thinners, bruising could occur. What is seen more often is that eyebrows rarely if ever produce any bruising; minor bruising during eyeliner procedures is possible if the skin being tattooed is very thin and close to the vascular system. This also applies to lip procedures in the event the client is more mature. If bruising does occur, typically it is minor and subsides in a few days. There is usually some tenderness for a few days. The color is much darker than you may expect for the first several days. The possibility that you would have any problems or reactions from these procedures is almost non-existent with today’s health standards. SPCP member professionals (which Christine is part of) are given continued opportunities for education in practicing precise methods of disinfection and sterilization. Post procedural instructions, if followed carefully, will greatly reduce any risk. Medical problems associated with permanent cosmetics are often linked to poor attention to the required aftercare process on behalf of the client. Choose a time for procedures when you feel confident you can follow the simple, but very important after care instructions. How Do I Book an Appointment for Permanent Makeup? Please contact Christine. Text messages are the fastest way to reach me, but you can call, text or email me. A consultation (either in person or over the phone) is always highly recommended. If you have prior work, you must send close up photos before we book an appointment. phone 214-215-0338 email: info@lashesbychristine.com I am usually booked out several months for permanent makeup procedures, but usually can work you in for a consultation within a couple weeks. What is your Policy for Rescheduling Permanent Makeup Appointments? We kindly ask that you give us at least a 72-business-hour (3 business days) notice for canceling or rescheduling of any Permanent Makeup appointments. This notification enables us to schedule another guest and, in turn, maintains a higher availability for you as well as others. Please understand that time is reserved for you and I need sufficient notice to fill my schedule. Please understand, cancellations, rescheduling and "no shows" leave gaps in our schedules that cannot be filled without timely notice.​ If you do not give proper notice, you will forfeit your deposit and a new one must be paid before rescheduling a new procedure. If you do not show up for your permanent makeup appointment, you will be billed the full amount of your missed service.